The eReefs Data Brokering Layer (DBL) is a collection of services and infrastructure which helps to improve access to distributed data services. Part of the DBL is an Application Programming Interface (API) which enables programmatic access to Data Provider Node (DPN) metadata. The DBL routinely harvests information from connected DPNs and stores the metadata ready for querying via the DBL API. The API is a RESTful interface which simplifies the process of building client tools to consume eReefs data products and services. 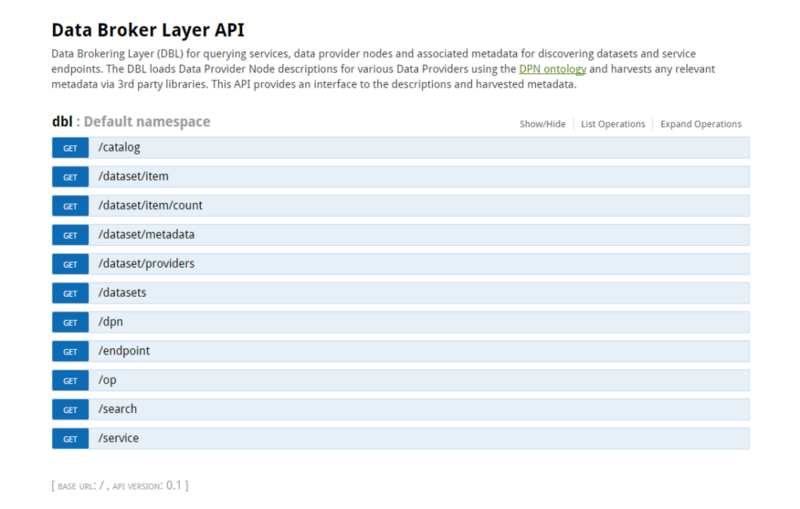 The Data Brokering Layer (DBL) harvests metadata from one or more Data Provider Nodes (DPNs) and delivers the content via the DBL API. Multiple client tools such as visualisation tools, analysis dashboards, mobile applications and others can then be built off a common interface, simplifying the access to data products and services. To demonstrate the utility of the DBL, a visualisation portal has been built to provide access to eReefs data. The portal is available at http://portal.ereefs.info or see the visualisation page for more information. 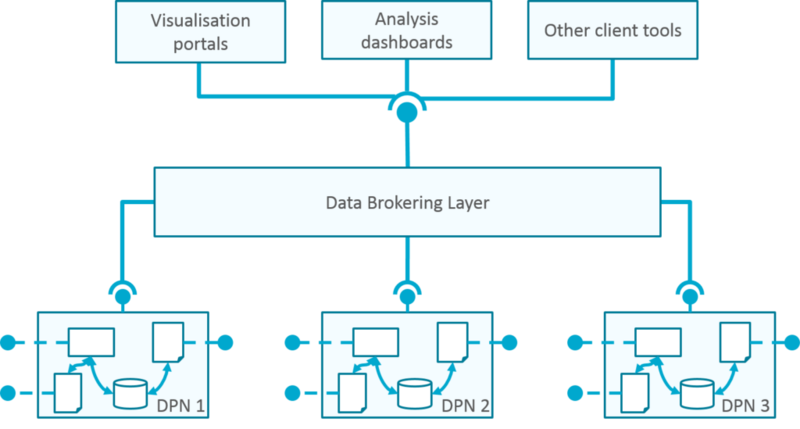 More detailed information about the eReefs Data Brokering Layer and its key components is available on the CSIRO eReefs Wiki. Yu, J.; Leighton, B.; Car, N.; Seaton, S.; Hodge, J., The eReefs Data Brokering Layer for Hydrological and Environmental Data, Hydroinformatics, 2016 (to appear).